Should We Get Rid Of Police Prosecutors? 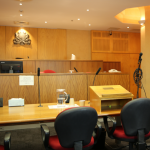 If you have ever been to court for a criminal offence, you will have found yourself up against a prosecutor – who sits on the other end of the ‘bar table’ in court. Depending on the type of case, the person who is prosecuting you will normally be a DPP solicitor or a police prosecutor. The type of prosecutor that you are facing will often depend on the category of the offence that you are charged with. In NSW, the least serious types of State offences are called ‘summary offences’, which stay in the Local Court. Examples of summary offences include Drink Driving and most other traffic offences, and all charges under the Summary Offences Act. The next serious are ‘Table 2 offences’, which stay in the Local Court unless the DPP ‘elects’ (chooses) to take them to a higher court such as the District Court. Examples include Assault Occasioning Actual Bodily Harm, Stalking and Intimidation and Larceny (stealing) of less than $5,000. The next most serious are ‘Table 1 offences’, which remain in the Local Court unless the DPP or defendant elects to take them to the District Court. Examples are Affray, Reckless Wounding, Aggravated Indecent Assault and Larceny of more than $5,000. The most serious offences are call ‘strictly indictable offences’, which must be decided in a higher court. These include Sexual Assault, Commercial Drug Supply and Murder. All ‘Table 1 and Table 2’ offences and ‘strictly indictable’ offences will be referred by police to the Office of the Director of Public Prosecutions (‘the DPP’). The DPP will always take strictly indictable offences over from the police. They will choose whether or not to takeover ‘Table’ offences. If the case proceeds to a jury trial, DPP solicitors will often be assisted by Crown Prosecutors, who are barristers. As representatives of the Crown, both DPP solicitors and Crown Prosecutors are independent of those who usually press the charges in the first place – which are members of the police force. 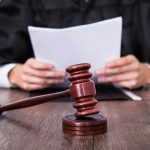 This is an important separation because it means that those who exercise the power to charge a person are not necessarily the ones who have the final say in whether those charges go all the way to a defended hearing or jury trial. It is not the role of the DPP or Crown Prosecutor to get a conviction at all costs. Rather, they are required to assess the strength of the case, the appropriateness of the charges and a range of other policies when deciding whether a case should go ahead and, if so, the precise form of the charges. If the case goes all the way, the DPP’s job is to present all of the relevant evidence and assist the court to establish what happened in the case at hand. The vast majority of offences that go through the criminal courts are ‘summary offences’ and less-serious ‘Table’ offences, which won’t normally be taken over by the DPP. These cases will be prosecuted by police prosecutors, who are members of the NSW police force. While the DPP is bound by strict professional and ethical guidelines and must act impartially, many people believe that police prosecutors are not capable of exercising the same degree of independence. This has led to calls to remove police from exercising prosecutorial functions and to hand all cases over to independent DPP solicitors. Should all cases be prosecuted by the DPP? 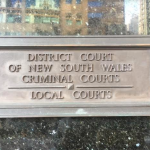 One of the problems with having police prosecutors is that they have a vested interest in pleasing their colleagues and employer (the NSW police service) by securing convictions despite the appropriateness of the charges and nature of the evidence. There is the added concern that the majority of police prosecutors do not hold law degrees. That is, while the police prosecutors’ recruitment program is open to law graduates, those who have not completed a law degree can become prosecutors after completing a training, education and professional development course. And many of the prosecutors that are currently appearing in NSW courts have not even completed that program. 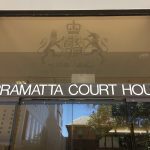 DPP lawyers and Crown prosecutors, on the other hand, must have law degrees and must also demonstrate a thorough understanding of legal principles, the laws of evidence, the essential ingredients of offences, legal practice and procedure, and so on. And importantly, the fact that most police prosecutors are not lawyers means that they are not bound by the same professional codes of conduct that govern members of the legal profession. Despite what some members of the community might think, lawyers are indeed bound by strict ethical and conduct standards and can face disciplinary proceedings if they breach those rules. 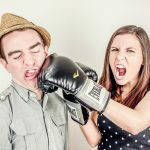 DPP solicitors are not allowed to simply fight to ‘win’ at all costs. Rather, their role is to help the court to arrive at the truth of the matter, which promotes justice. Should we blame police prosecutors? In fairness, it may be difficult for police prosecutors to remain impartial given that they are employed by the police force and are ultimately answerable to it. And taking into account the camaraderie amongst police officers, it is questionable whether police prosecutors should be expected to act with the same level of detachment and independence as DPP solicitors. But perhaps this is another reason why we should move away from the use of police prosecutors inside the courtroom. The idea that only admitted lawyers who are not affiliated with the police force should carry out prosecution functions is not a new concept. 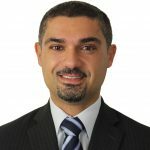 In fact, it is already the practice in the ACT and Northern Territory, where representatives from the Office of the Crown Solicitor carry out all summary prosecutions. And as far back as 1981, the Lusher Inquiry recommended that police prosecutors in NSW be phased out within 5 years and replaced by prosecutors who have legal qualifications. These calls have been repeatedly echoed by various Commissions and ICAC reports, including the Wood Royal Commission which recommended a trial of DPP prosecutors in Local Courts. And trials of DPP solicitors conducting all summary matters were actually conducted in Dubbo Local Court and Campbelltown Local Court in 1996 to great success, but were not expanded across NSW. At the end of the day, it remains to be seen whether police will maintain their stranglehold on both investigatory and prosecutorial functions into the future. Countdown to Execution – Should Chan and Sukumaran be Saved?